Bolgios ( also Bolgius, Belgius) was a Gaulish leader who led an invasion of Macedon and Illyria in 279 B.C., killing the Macedonian king Ptolemy Keraunos. He was part of a force of Gauls settled in Pannonia who had advanced to Thrace under a leader called Cambauls. Deciding on fresh conquests, they sent separate forces to different regions: one led by Cerethirus against the Thracians and Triballi; another against Paionia led by Brennus and Acishorius; and a third against the Macedonians and Illyrians, led by Bolgios. The Macedonian king, Ptolemy Keraunos, was unconcerned by the approaching army, and declined an offer of 20,000 soldiers from the Dardanians. Bolgios sent ambassadors to Ptolemy, demanding payment to call off the attack. Ptolemy refused, instead demanding that the Gauls give him Hostages and hand over their arms. Battle followed a few days later, where the Macedonians were severely defeated. Ptolemy was thrown by the elephant he was riding. He was captured and beheaded, and his head was paraded around the army on a spear. Beli (in the form Bolgios) was the titular deity of the Belgae tribe and his name survive today in Belgium (literally, ‘Land of he Bolgios’). 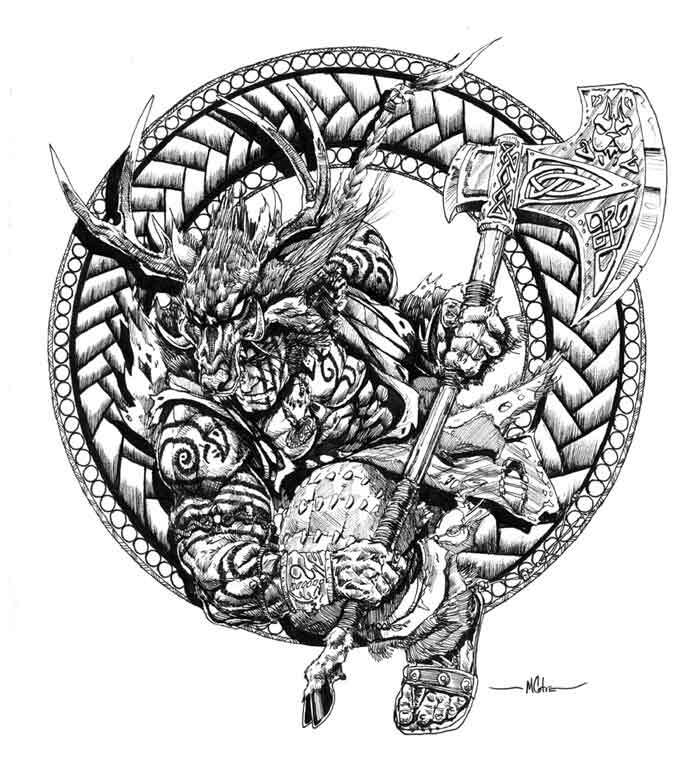 As Beli Mawr (Beli the Breat), a god of death, he survives in Cymric (Welsh) myhology as the father of all the Welsh deities and the purported ancestor of all the great Welsh lineages. The Belgae were a group of tribes living in northern Gaul, on the west bank of the Rhine, in the 3rd century BC, and later also in Britain, and possibly even Ireland. They gave their name to the Roman province of Gallia Belgica, and very much later, to the modern country of Belgium. The general consensus among linguists is that the ethnic name Belgae comes from the Proto -celtic root *belg- (from Proto-Indo-European *bhelgh-) meaning “to swell (particularly with anger/battle fury/etc. )”, cognate with the Old English verb belgan, “to be angry” (related to the Proto-Germanic *balgiz. Now here is manuscirpt, will you believe? The name of the author’s father was Ananta, -while that of his grandfather was Kesava. He was patronised by Nrayana Shah and his son Pratapa Shah. The present work was composed by the author after hearing the subject matter from Lakshmana Pandita. The Rashtraudha Vans’a Maha Kavya,is a historical poem containing the history of the Bagulas of Mayuragiri, from’ the originator of their dynasty Rashtraudha, king of Kanouj to the reign of Narayana Shah , ruler of Mayuragiri, and the patron of the author.the Book narrates that……. As the “head of Gopachandra” joined obliquely appeared dreadful, the goddess called him Bagula. The decendants of Gopachandra were henceforward called Bagulas. Kalasena then putting Gopachandra on the throne of Kanyakubja ruled over Ujjain. Maha Kalingadeva, who succeeded Gopachandra, conquered the countries of Karnata, Lata, Anga, Kalinga, and Vanga. Narayana made his elder son Pratapa Shah his heir-apparent, and entrusting to his care the fort of S’alagiri, marched to Mayuragiri. The ministers and the people received him with great joy and honour and Narayana Shah was crowned as the king of Mayuragiri. Book says that…. “The word Bagula in Marathi ,means a fabulous animal of the cat-kind. Bagula Bova is still used in Marathi to frighten little children. It is stated in the present poem that Gopachandra was called Bagula as his head was put awry so as to frighten people. The name Btigulan seems to mean the country of the Bagulas.” Surprisingly Rudrakavi’s frightening description of Bagula matches with Tribal symbol of Balgae tribe. Look at the picture of Balgae tribe symbol pl. The word “ Shah also recalls Kabulshahi kingdom of Capisa. Kabulshahi will be discussed in detail ,in the following chapter “Capisa”. Surprisingly If we read “ Celtic culture: a Historical encyclopedia vol. 1 to 5 along with “Rastraudhavamsakavya” than Vanvas path of Ramvanshis Joines easily. We don’t know anything about “Rastraudhavamsakavya” then how can we know about “Celtic culture: a historical encyclopedia, Volumes 1-5”? “Beli may derive from the old celtic name which is attested as both Bolgios and Belgius, and was borne by the chieftain who led the Gaul invasion of Macedonia in 280 -279 B.C. 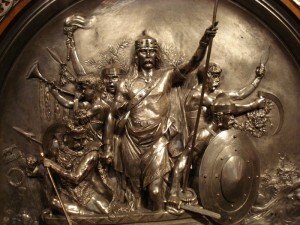 It is possible that this great leader Bolgios/Belgius came to be regarded as the namesake and ancestor of the powerful British and Gaulish tribal group of the final pre -Roman period known as the Belgae ; hence the doctrine that Beli /Belgeos was the ancestors of tribal Dynasties in Britain.” (p.200). 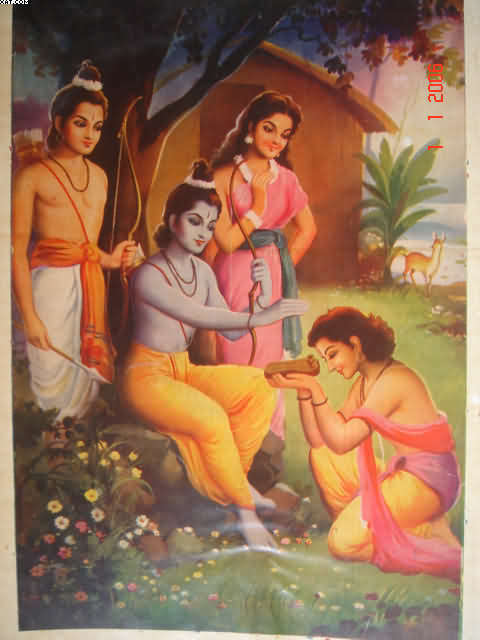 Above we have seen literary evidence of Vanvas Path of Ram vanshis . Now let us look at Geographical connection. Baglan is a Taluka (tehsil) in Nashik District in the Indian state of Maharashtra. Sometimes Baglan Taluka is unofficially referred to as Satna, because of that city’s dominance within the taluka. Historian H.S.Sardesai mentions in his book – Shivaji The Great Maratha – mentions that Mayurgiri kingdom emerged here in 14 th century. There are mountains of Mayurgiri there. Means when Ram was away in “Vanvasa” , Bharata was fighting on very soil of Bhratvarsha ,to save our country ? It is immortal picture of Ram and Bharat . 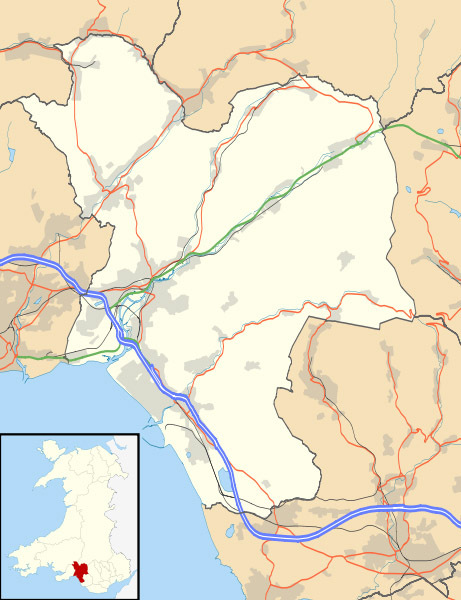 The Baglan electoral ward includes the communities of Baglan and Baglan Bay, in Neath Port Talbot county borough, Wales. Baglan falls within the Parliamentry Constituency of Aberavon (Awadh?) The residential zone lies just to the northeast of the M4, consisting of Baglan village. Baglan is located on the side of a steep hill and is surrounded by two main hills, Mynydd-y-Gaer (to the north) and Mynydd Dinas (to the east). The moors and Baglan Bay are to the SW. The village contains a number of historical buildings such as Baglan House, St. Catharine’s Church, and St. Baglan’s Church. The earliest evidence of settlement here dates back to the Bronze Age with there being a tumulus called Twyn Disgwylfa on Mynydd Dinas and a round barrow within the hillfort of Buarth-y-Gaer .There are also Iron Age hillforts on the surrounding hill called Mynydd-y-Gaer. There were two medieval castles within the Parish boundary. The first is a Motte castle on Mynydd Dinas called ‘Castell Bolan’. We can look find Mayurgiri mountain in Baglan of Bharatvarsha even in present time. The Baglan in Wales also having mountains name “Mynydd-y-Gaer “(to the north) and “Mynydd Dinas” (to the east). Is it merely co –incedence? The mountaqin names is not clue to story of Migration ? Surprisingly there is Baglan in Afghanistan too. Which gives support to our hypothecation that there was not One sided but two sided migration . 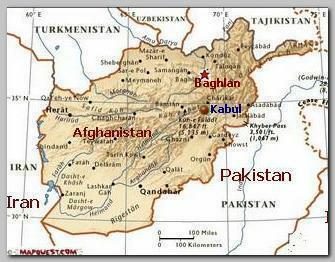 Baghlan (Persian / Pashto Baglan) is one of the thirty-four provinces of Afghanistan. It is in the north of the country. Its capital is Puli Khumari, but its name comes from the other major town in the province, Baghlan. The ruins of a Zorostrian fire temple, the Surkha KOtal, are located in Baghlan . The name Baghlan is derived from Bagolango or “image-temple”, inscribed on the temple of Surkh Kotla during the reign of the Kushan emperor, Kanishka in the early 2nd century CE. The record of Baghalan in second century says like this . but we should remember that Our Macedonia war hero Bolgios long before migrated to Macedonia and then in Belgium and Britian. These are the Geograptical and historical evidences which lead us To Ramvanshis who are in Vanvas . 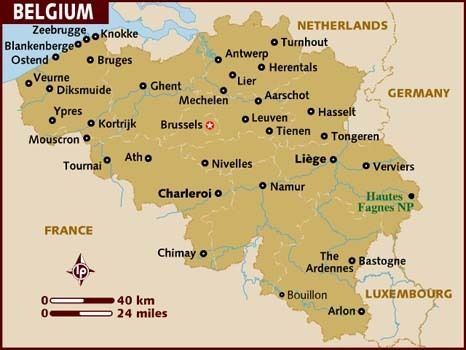 Purticalarly Low contries and Leuven (French: Louvain ) city of Belgium is clue to Lau-nandan One of the Son of Shri Ram. The same Balgae tribe of Belgium migrated to Britain and established Midland and wales there. They are Iscaevones tribe dwelling in bank of Atlantias (“Anant” word stands for Infinite). In Bharatvarsha Ikshvaku (Son of Manu ) started Solar Dynasty. Still you find difference in “ Iscaevones” and Ikshvakuvanshis of Bharatvarsha? From this sunline root Robertian sun line dynasty emrged in France. Means it was dynasty of Raw –Bharat( Brother of shri Ram)? Here I am providing you link to book by J. C. H. Blom, Emiel Lamberts. Book name is ” History of the Low Countries”. IJsselmeer sometimes translated as Lake IJssel, alternative international spelling: Lake Yssel is a shallow artificial Lake of 1100 km² in the central Netherlands bordering the Province of Flevoland, North Holland and Friesland, with an average depth of 5 to 6 m. The IJsselmeer is the largest lake in Western Europe. The IJsselmeer is a freshwater lake fed through the Ketelmeer by the river IJssel, which gives it its name. It is mainly fed by water from the Rhine since the IJssel is branch of it. And flow of time runs ………. The Merovingians (also Merovings) were a Salian Frankish dynasty that came to rule the Franks in a region (known as Francia in Latin) largely corresponding to ancient Gaul from the middle of the 5th century.. The Merovingian rule was ended March 752 when Pope Zachary formally deposed Childiric III Zachary’s successor, Pope Stephan II re-confirmed and crowned Pepin the Short in Childeric’s place in 754 beginning the Carolingian monarchy and early introduction of the Holy Roman Empire. They were sometimes referred to as the “long-haired kings” (Latin reges criniti) by contemporaries, for their symbolically unshorn hair (traditionally the tribal leader of the Franks wore his Hair long, as distinct from the Romans and the Tonsured clergy). 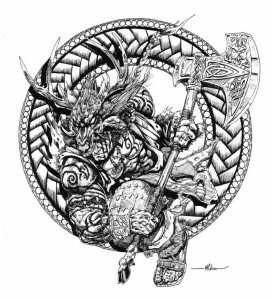 The term “Merovingian” comes from medieval Latin Merovingi or Merohingi (“sons of Merovech”), an alteration of an unattested Old west Low Franconian form, akin to their dynasty’s Old English name Merewiowing,with the final -ing being a typical Patronymic suffix. The Merovingian dynasty owes its name to the semi-legendary Merovech (Latinised as Meroveus or Merovius), leader of the Salian Franks, and emerges into wider history with the victories of his son Childeric I (reigned c.457 – 481) against the Visighoths ( Yamavanshis), Saxons (Saksanaye -Indra), and Alemanni. Childeric’s son Clovis I (481 – 511) went on to unite most of Gauul north of the Loire under his control around 486, when he defeated Syagrius, the Romans ruler in those parts. The Holy Roman Empire looked to Charlemagne, King of the Franks, as its founder, who had been crowned Emperor of The Romans Holy Roman Empire was approach of single entity ruled collectively by these several kings (in their own realms) among whom a turn of events could result in the reunification of the whole kingdom under a single ruler. 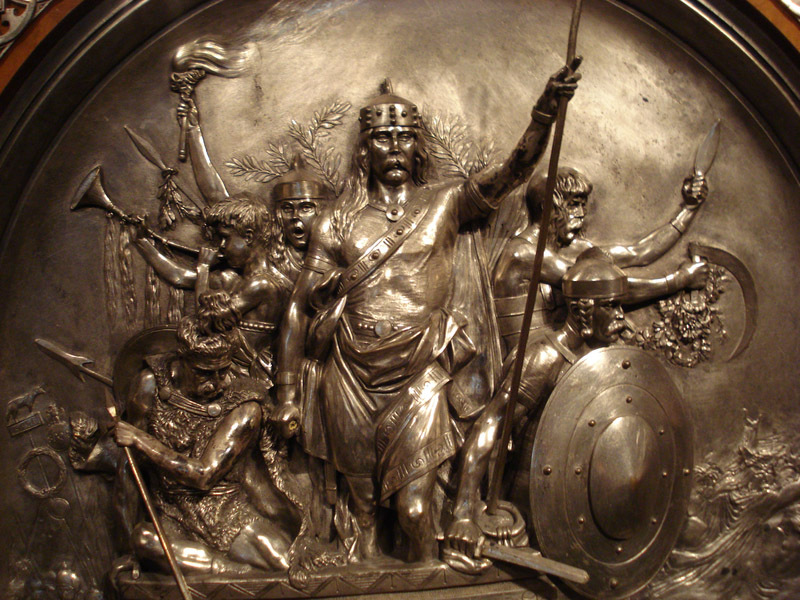 Leadership among the early Merovingians was probably based on mythical descent and alleged divine patronage, expressed in terms of continued military success. 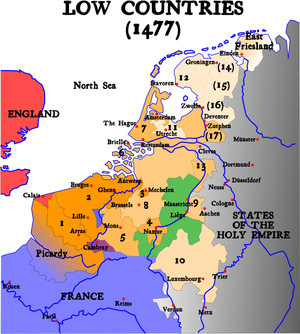 The empire’s territory was centered on the Kingdom of Germany, and included neighboring territories, which at its peak included the Kingdom of Italy and the Kingdom of Burgundy. Is it not surprising that Low counries were behind Creation of “Heiliges Römisches Reich”? They had sunline origin too. Then ” Römisches Reich” stands for what? Brussels is the Capital of Belgium and the de facto capital of the European Union (EU).Brussels has grown from a 10th-century fortress town founded by a descendant of Charlemagne into a metropolis of more than one million inhabitants. Bruges stands for Balia?, Ghent stands for Gonda? and Cologne(Germany) stands for Kaushal? The metropolitan area has a population of over 1.8 million, making it the largest in BelgiumLambert I of Leuven, Count of Leuven gained the County of Brussels around 1000 by marrying Charles’ daughter. Because of its location on the shores of the Senne on an important trade route between Bruges(Brügge or land of Bhrugu-Ballia?) , Ghent (Gandia or Gonda of Awadh?) , and Cologne ( Kölsch or Koshal?) , Brussels grew quite quickly. (Dutch: Brugge, French: Bruges, German: Brügge) is the capital and largest city of the Province of western Flanders Belgium. It is located in the northwest of the country. ( Dutch: Gent, formerly Gaunt in English; from the Classic Latin term Candia or Gandia meaning landlock by the confluence of rivers by the union of the celtic term “Cand” and Latin “ia” land) is a city of Belgium. (German: Köln, Kolsch: Kölle) is Germany’s Fouth largest city (after Berlin, Hamburg and Munich ) Kölsch (Colognian, Kölsch) is a very closely related small set of Dialects, or variants, of the Ripuarian central German group of languages. Kölsch is spoken in and partially around Cologne. I think my search of Ram completes here. We have to remember that rulers of Uttarakhand were called ” Balond -Badri ” – Chalta badri. (P-102) The following book link will tell you about Balond -Badri tradition of Uttarakhand. Now read about war hero “Bolgios”..who took leadrspip of war against Macedonia and Greece and his journey towards Britain.They did not turn back because we became Baudh and forget Ram. Book link to “Encyclopaedia of the ?aivism “ By Swami Parmeshwaranand. Link to Gallia Belgica ( Garhwal of Balonds-Badri),who developed Lav nandan (London). Link to war Hero Bolgios..who took leadrship of War against Macedonia.